Not long ago we had the opportunity to select a few fine examples from this interesting new find of gem Enstatite in southern Kenya. The color is remarkably fine for the species which is typically known for dark and muddy brown gems. 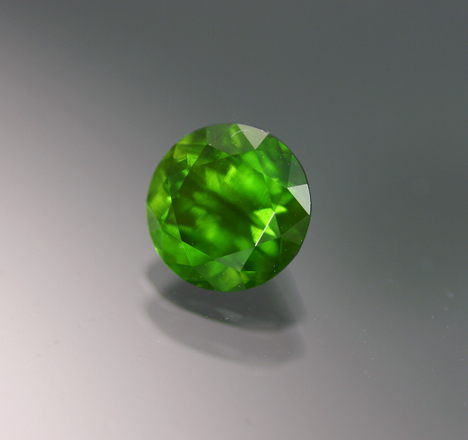 This lovely stone was cut from the small find of rough that occurred in late 2010 and was profiled in GIA's Gems & Gemology - Spring 2012 edition. Lab analysis points to Iron and Chromium as a cause for the unique color. Very nicely cut and completely clean, there were few this attractive and nice and it remains to be seen if anymore rough will be mined. Moreover, this is one of the very largest of lovely stones - carat stones were exceptionally rare.